Mar 17, 2019 Andrea R.
I've been going to Tuffy Charlotte for years, but I was truly touched by the way Brian and his team went above and beyond today. They helped my 17-year-old neighbor, who is trying to buy his first car with his hard-earned money, by evaluating the vehicle he wanted and carefully explaining to him how much it would cost to get the vehicle in safe working condition. Not only did they do an excellent evaluation, they seemed to truly care about protecting this young man from being taken advantage of by the seller. It was late by the time we left, but the techs didn't mind taking the time to give this young man some valuable feedback, as if they were looking out for a younger family member. This 17-year-old has no father to look out for him and give him advice, but Brian and his team really took care of him today. I can't thank them enough. Jan 29, 2019 Meloni D.
9835 Rocky River Rd, excellent customer service! Thank you for saving the day!! Dec 05, 2018 Melissa J. Staff is very friendly and helpful. They worked to identify the true problem and the best affordable way to have my car fixed. They made our nightmare that was caused by another auto company to a happy ending. I will be sure to continue to use them and refer anyone to them. Nov 09, 2018 JANET P.
My father and I were traveling from Pa to Georgia in his Mercedes when smoke suddenly started coming out from under the hood and exhaust pipes. I existed the interstate and pulled into a gas station intending to call AAA. I happened to see Tuffy right next door so I went in and spoke to a technician. Everyone there was extremely kind and helpful. They were obviously busy but within 30 minutes they were looking at our car. Within 2 hours they had gotten the part that was needed and we were back on the road. I could not ask for better service and the price was way less than we anticipated. Thank you for making what could have been a stressful incident very easy!! Oct 02, 2018 John F.
I was thoroughly impressed with their service . We had picked a nail up in our tire and look for locations nearby that could remedy the situation. Their service was super fast and their customer service agent was phenomenal! I would highly recommend their services. I believe you can trust them To do the right service at the lowest price. Jun 13, 2018 Chad M.
Brian and Kip are always top-notch guys! Amazing service, and truly friendly people. You can feel comfortable and relaxed knowing that these gentlemen will always take care of you and provide the best service available in the industry. Jan 18, 2017 Jaime D.
One of my best experiences at an auto repair shop. You can tell straight away Mike cares about his customers. I was given a more than reasonable price for the work needed, it was repaired when he said it would be and it was done right first time. Great after work guarantee, and friendly service, I'll be back. Jan 15, 2017 Hugh and Jill H.
Mike and crew are fabulous car service people. Knowledgable, trustworthy, dependable, efficient. We handle all our car needs possible with Mike at Tuffy's. Wouldn't think of going any where else ie someone told us we needed new brakes. Mike did a thorough job reporting that we still had plenty of use out of our current brakes and no need to replace yet. Honesty is the best policy! Jan 10, 2017 LaToya C.
I have had my vehicles serviced by Tuffy on Rocky River Rd. a few times. Everytime I call or go there they are always willing to help me with my concerns no matter how busy they are. It means a lot to me because as a woman I don't know much about cars and they are courteous and don't take advantage of that. I also have a son that travels a 3hour drive back and forth to college and they make sure when his vehicle has problems, it is working properly so that my son can have a safe trip back to college. Thank you guys for always caring! Jan 05, 2017 Chris D.
Oct 21, 2016 Eileen C.
I had a great experience at Tuffy . Mike did a great job .. I will keep getting my car fixed at Tuffy. Mar 25, 2016 Tasha P.
Dec 22, 2015 Linda W.
I have had several major parts repaired by Tuffy with an older car, 1998 Volvo wagon. Repairs have been cheaper and done quickly, some overnight due to ordering parts but done correctly. I highly recommend this company with a lifetime warranty on all parts. I regularly do oil changes and tire rotation as well. Nov 20, 2015 Diana T.
I had some service done on my car today at Tuffy. Mike was very helpful and accommodating. They did a good job and I would recommend them if you need car service. This wasn't my first time there. I have been in for service before and they have always done a good job. Oct 08, 2015 pat b.
I have used this Tuffy since it opened. They have taken great care of my 2008 GMC Canyon which now has over 120,000 miles on it. I would trust them with any service work/issues. They have a great staff and Mike has been great to work with. Apr 10, 2015 Bruce L.
Feb 13, 2015 Andrea R.
My sister and I have gone to Tuffy for many years and have always had outstanding service from friendly staff members. When I first purchased my used van, the oil cap was almost sealed on, and they went above and beyond my getting a special tool to safely remove the cap without any additional charge to me. That earned my trust! In addition, the prices are reasonable, especially with coupons. You can't go wrong with Tuffy! Jan 23, 2015 Carl W.
Mike and crew at Tuffy on Rocky River Road are consistently friendly and helpful. 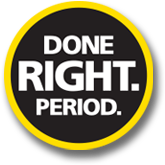 As a customer I appreciate the time they take to explain the service needed on our vehicles as well as identifying and recommending routine maintenance based on our vehicle histories. It is always a pleasant experience for us to have our vehicles serviced here, and will always be our local neighborhood shop. Dec 27, 2014 Marbeluz R.
I went to have my car's oil changed and-like always-the service was excellent and the wait time was magnificent. I recommend Tuffycharlotte to any person because it is excellent. Nov 03, 2014 LM E.
Feb 09, 2014 Gary W.
Apr 16, 2013 Robert G.
While driving I heard a loud noise from under the hood of my vehicle, pulled over and found that the fan belt had come off. I knew there was a service center called Tuffy at exit 36 on I-485 as I was heading north. I was only 2 miles and decided to chance driving there. It was late and they were about to close, but stayed and got my vehicle back on the road, all within an hour, thanks, I will be back for all my service needs,now that's a Tuffy!! Charlotte, NC - Has your check engine light come on? Do you need to patch a tire, select a new tire, get an oil change, wheel alignment or tire rotation? Then come check us out in Charlotte, NC for all your auto repair needs! 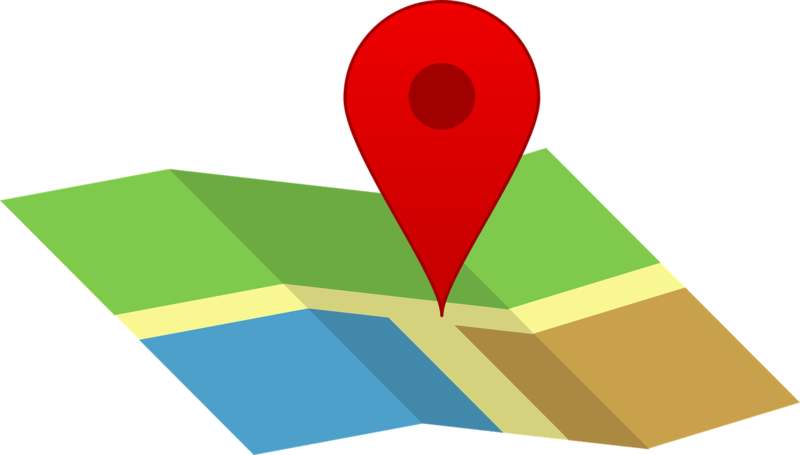 We happily serve customers from nearby Belmont, Harrisburg, Huntersville, Matthews, and Mint Hill as well. Here at Tuffy Charlotte, we care about each and every customer. Check out our service list for a complete list of all our exhaustive auto repair services. It's important to take care of your transmission, suspension, and electrical system so you can safely get on the road again. We do all types of preventive maintenance, which can help you keep your warranty. We do engine repair, brake repair, and exhaust diagnosis and repair.